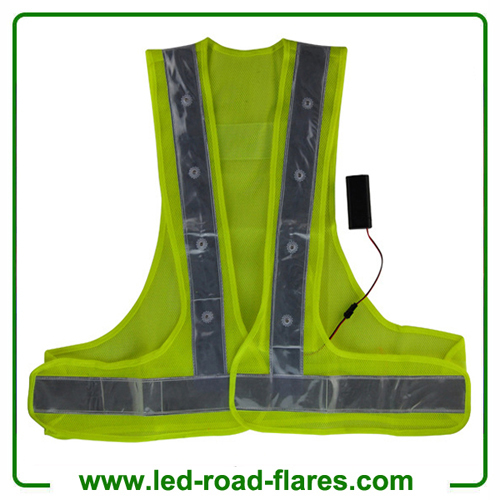 LED Safety Reflective Vest is visible for up to 1000 meters! The led flashing safety vest provides great visibility in all conditions. Complete with two batteries (AA) this item of reflective clothing contains two red lights on the front and four orange ones on the back and reflective strips around the shoulders and waist to alert everyone as to your location thus avoiding accidents and keeping you safe! Coming with an easily adjustable Velcro strap this product can fit a huge range of shapes and sizes. 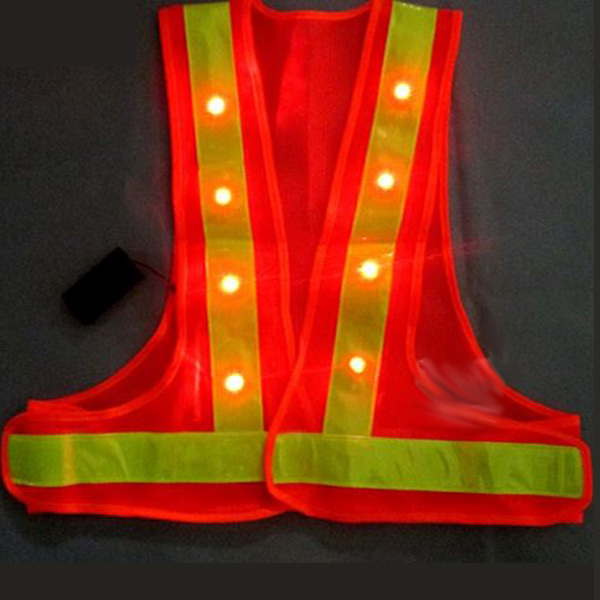 LED Safety Reflective Vest is perfect for day or night use, all of our knit and mesh reflective led safety vests provide superior visibility .Great for road crews, crossing guards, walkers, stranded motorists – quite simply- anyone who wants to be seen! Reflective Material: reflective tape, PVC Reflective Crystal Lattice Highlight reflective TC cloth etc available. Application: Widely used in highway, airport, port, schools, construction site, outdoor sports, etc, it is suitable for the traffic control, road personnel, environmental sanitation workers and firefighters, the lifeguard, outdoor work personnel, running in the morning exercise personnel, night work personnel, etc. 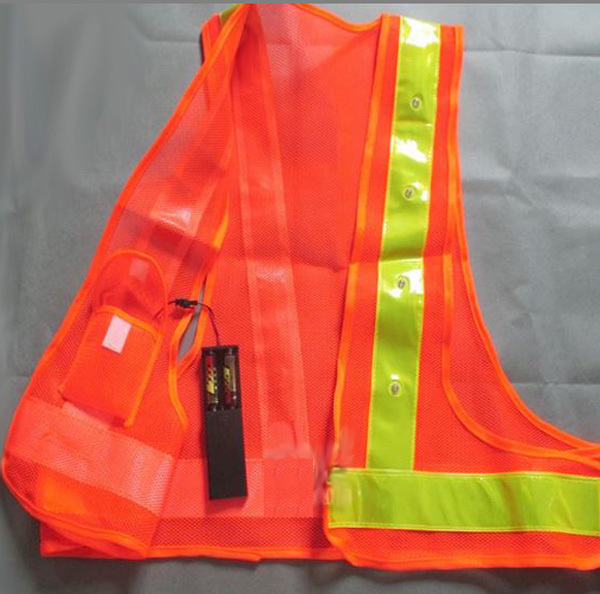 Ideal for Traffic Control, Fire Departments, Construction Workers, Parking Lot Attendants, Crossing Guards, Grocery Cart Runners and Airport Crews. 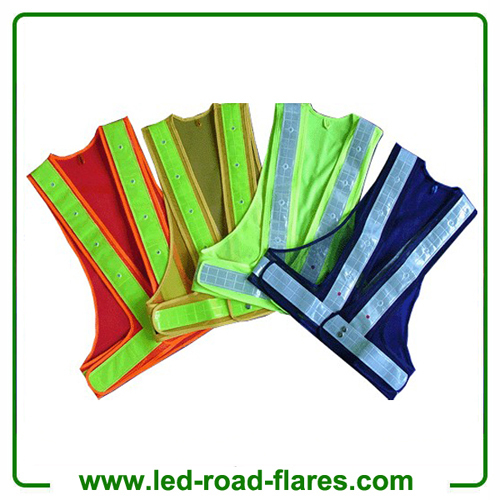 It is widely used in highway, airport, seaport, schools, construction site, outdoor sports, etc, it is suitable for the traffic control, road personnel, environmental sanitation workers and firefighters, the lifeguard, outdoor work personnel, running in the morning exercise personnel, night work personnel, etc. 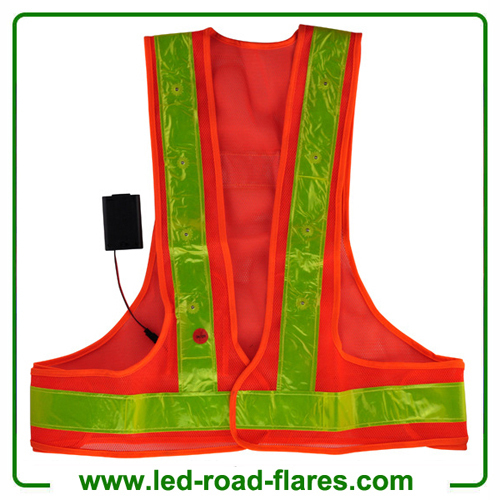 A led safety vest is high-visibility refelective clothing to is easily seen in all weather condition and avoid colliding with the individual, work-related injury and unfortunate accidents. 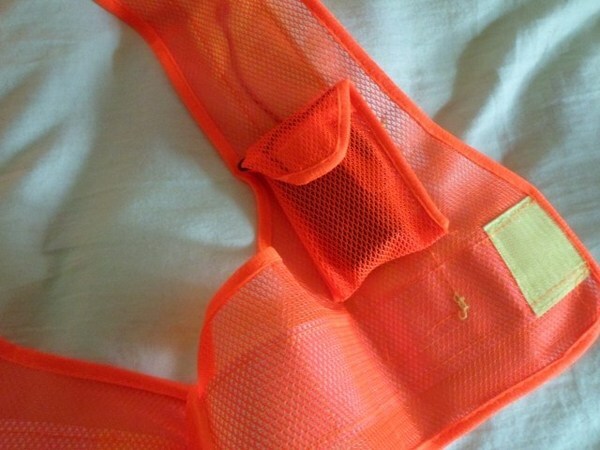 Led Safety Vests are perfect forcyclists, motor cyclists, traffic control and workers engaged in construction, road work, rail work andthose working in ports, airports, yards, hangers, fire, rescue, emergencyservices and utility jobs where bad weather or low visibility may be an issue. 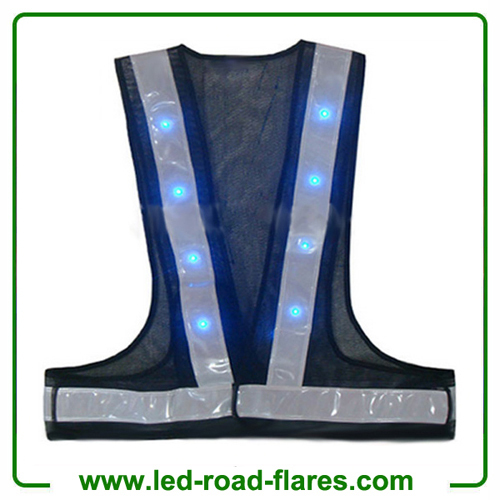 Led vests are put on by workers who work on or near roads, or places where there are movements of vehicles, cranes, cables, winches, motors or any moving gears. Workers who are engaged in emergency and construction work, need to be seen by other parties who operate moving machinery that can be potentially dangerous.